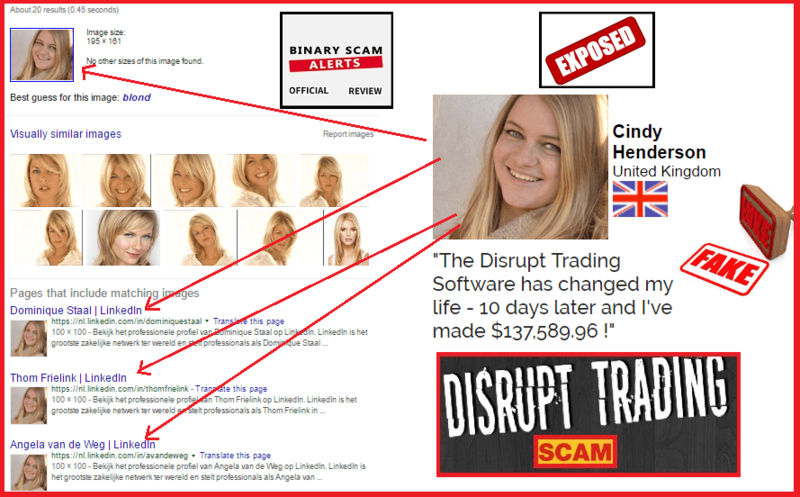 Binary Scam Alerts » Disrupt Trading,Scam Reviews » Disrupt Trading Review, SCAM is Confirmed! 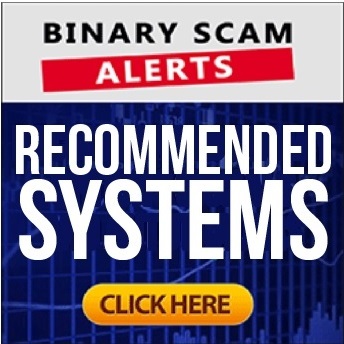 Binary Scam Alerts is posting a severe SCAM review and BLACKLIST notification in regards to the Disrupt Trading Software, App, and Auto-trader, as well as Greg Hardman the so-called owner and founder of this fake system. We consider this most recent scheme to be of a particularly disturbing nature due to the very misleading and deceptive sales tactics which are used in order to manipulate and lure innocent day-traders into a verified binary options investment SCAM. After we got a fresh flurry of SPAM emails our team of researchers immediately recognized something fishy, so we decided to conduct a full investigation and what we exposed was a nasty can of worms. We knew we hit a nerve when we started getting threats to take down this article, but alas we remain steadfast and resolute in our commitment to our members and refuse to remove anything which may shed light on this shady operation. Well, this is a very clear cut case which leave no room for hesitation or misunderstanding. The image below illustrates and proves that Mr. Greg Hardman is really a paid actor. It’s plain to see that the same actor is used for an older scam called the Lie Detector Millionaire where his name is supposed to be Jonas Kane and he is a “former military general and a licensed polygraph examiner”. If you have reached this point and understand the implications of this scheme, you can pretty much stop and look for an alternative means of investment right here. If you still need more proof you can look at the picture below and see how this software behaves. You have to forgive me, the screenshot came out a bit out of focus but its clear enough to see that initially they credited my account with $118 and then it shows $0 next to my name. So the obvious question is, where’s my money and why did you steal it? And if you didn’t steal it why did you show me something that isn’t real? As we progressed we saw even more SCAM tactics as can be seen below. Its very clear to see that Cindy Henderson is not a real identity and most likely her image was stolen from the internet without permission or written consent. I must say these guys have really went all out and broke every rule in the book when it comes to producing an honest app. I can pretty much guarantee that there is not one piece of credible information or image which can be found in this cheap sales page, and I’m actually thinking about pursuing a class-action law suite since one of the people who was illegally solicited by these blood-thirsty parasites is very powerful attorney specializing in international law and cyber-crimes. So we are gathering testimonials from real people who suffered from this software, and if you have been approached by these people simply leave a message below the post describing what happened and our staff will contact you to get back at these guys. The sales pitch starts off as saying how Greg Hardman is willing to bet $1 he can “make you $12,765.98 by the time this short video ends. Don’t believe me? GOOD!” There is also a mention of an “invisible glitch” which is being taken advantage of, sound familiar? I don’t know who wrote this script about him leaving his job and stealing technology, but this is really slimy behavior, not to mention illegal. If you are an employee and steal intellectual property you stand to be sued and face criminal charges as well as serious prison time. In short, everything about this scheme resonates SCAM and keep your distance. I also have a difficult time understanding how he translated this technology into binary options automated trading, and even more so where is the tech team behind it and what kind of coding language was used? For example PHP, .NET, and Angular are just some that come to mind but there is no discussion about that at all! Not really, it’s gonna cost you a minimum of $250, and that amount will be paid to the broker you are registering with. In my case it was RBOptions, not the worst broker I have ever stumbled upon but definitely not the creme of the crop and not regulated. These include but are not restricted to: Regal Wealth, Cloud Trader, The Lie Detector Millionaire, Profits Infinity, Google Trader, The Free Money System with Walter Green, The Azure Method, Millionaire Blueprint, Quick Cash System, and the Push Money App with Dennis Moreland. As you may very well know there is a ton of systems out there today and they are all making vast promises. Today we will step away a bit from automated trading systems and stick to good old-fashion manual signals. We are endorsing the Binary Profit Method since we have good communication with the owners who are extremely responsive and courteous. The Disrupt Trading Software, App, and Auto-trader, as well as Greg Hardman the charlatan and cheap actor is a verified binary options investment SCAM. There is nothing genuine, legit, honest, or sincere about this system and it will steal your money in a New York minute. We are warning all our members and viewers to use extreme caution when being solicited to use this trading tool, and immediately seek alternate means of investing. Our real discussions are conducted in our Facebook Group and obviously subscribing to our YouTube Channel will help you get visual information about how these systems actually work.